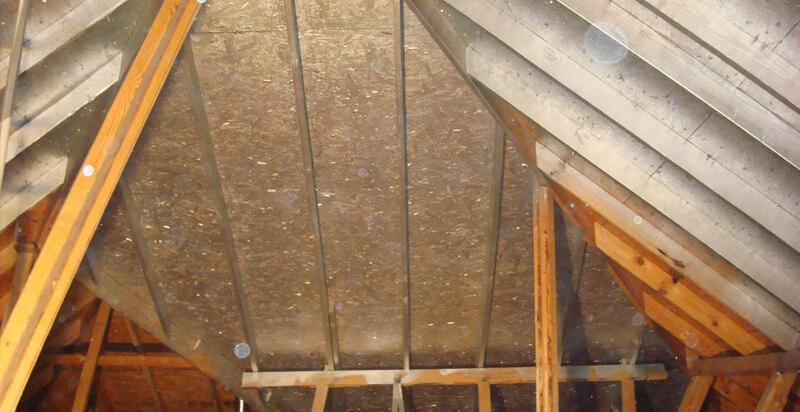 RADIANT BARRIER insulation is installed in a house attic or attached to the roof rafters. It will block 97% of the radiant heat from the sun from entering the home or building. This keeps the attic cooler space cooler during the summer which reduces the amount of energy the air conditioner must use to cool down the house. HeatBloc radiant barrier insulation coating is a water-based, low-e product and an excellent replacement for foil radiant barriers. In many homes, HeatBloc is the only economical way to retrofit a radiant barrier since it may be safely applied in enclosed areas at a low cost. WHAT IS A HEATBLOC RADIANT HEAT BARRIER? HOW DOES THE HEATBLOC ATTIC HEAT BARRIER WORK? WHAT IS A RADIANT BARRIER INSULATION? Emissivity is the ability of a surface to radiate or emit energy in the form of long wave electromagnetic radiation. It is represented by a value from 0 to 1. The closer the value is to 1, the less effective the surface is at impeding radiant heat transfer. Wood has an emissivity of 0.90. Thus, when wood is heated above the temperature of surrounding surfaces, it will tend to transfer 90% of its heat energy by radiation. HeatBloc, when applied to most non-porous surfaces, will decrease the surface emissivity to 0.25 or lower, allowing less than 25% of the heat energy to be transferred by radiation. For best results, spray application using a spray pump size ¾ GPM or greater, 2,000 psi and tip size of 0.017” to 0.021”. The product can be rolled with a 3/8” synthetic nap roller, however, roofing nails penetrating the surface can make brushing or rolling difficult.